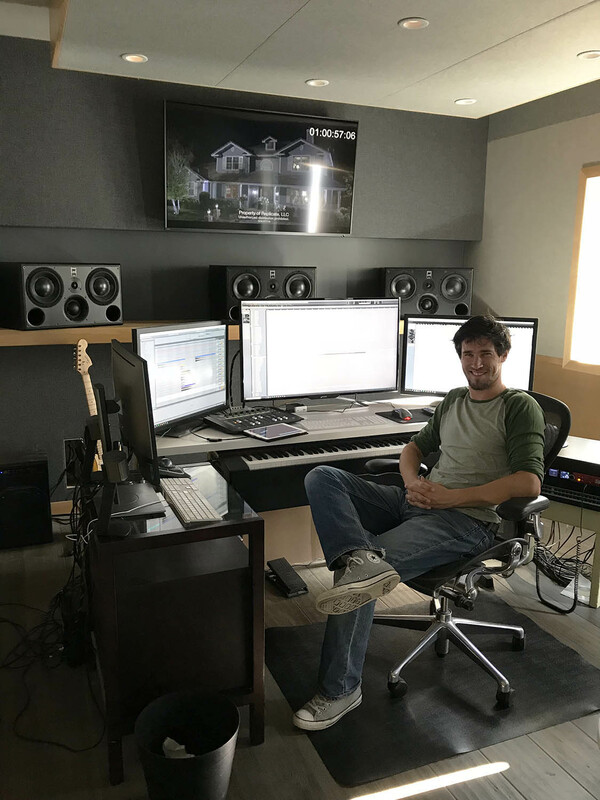 LOS ANGELES, CALIFORNIA – AUGUST 2018: With decades of productivity still ahead of him, film composer Sven Faulconer has earned the attention of Hollywood’s decision-makers. His credits include complete scores for Blood Father, the Netflix produced A Series of Unfortunate Events, National Geographic’s documentary Into the Okavango, Wanderland and the IMAX adventure We, the Marines, among many others, along with a raft of synth programming and additional score credits for blockbusters like The Hunger Games, Nightcrawler, and Fantastic Beasts and Where to Find Them. Born and raised in Belgium, Faulconer currently resides in Los Angeles, where he studied and worked under veteran composer and mentor James Newton Howard (Hunger Games, The Sixth Sense, The Dark Knight). Having recently relishing the joy (and enduring the pain!) of building out a new personal composing studio that will see him through the next phase of his career, Faulconer decided to stick with ATC active monitors. He and Howard jumped to ATC SCM100ASL Pro and SCM50ASL Pro monitors at JNH Studios in 2013 and have been reveling in their ability to create mixes that unfailingly translate ever since. Because he worked on his ATC while still building out the studio, he has an A/B experience between an untreated and treated space. “We made a big effort to treat the space acoustically” he said. “We gave the walls much more mass to keep the outside sounds outside and the inside sounds inside and the walls, ceiling and cloud were treated entirely with acoustic materials and fabric. All told, I was surprised to discover that I need to monitor about 20dB louder in the treated space, which tells me I was mixing with 20dB of reflections in the old, untreated space. The ATCs sounded great in the untreated space and led me to mixes that translate, but the clarity and balanced frequency response are even more obvious now in the treated studio.” One of the first projects Faulconer finished in his new studio was a National Geographic documentary called Into the Okavango and he’s currently working on Aquaman for Remote Control-based composer Rupert Gregson-Williams.